The Austin Marathon® is proud to present Camp Kesem – University of Texas with a donation of $3,195. Camp Kesem is receiving this donation because they won the month-long Austin Gives Miles social media contest that determined Ricky Doyle, Spectrum News Austin Sports Director, would run the marathon on behalf of their organization. Austin Gives Miles is the Official Charity Program of the Austin Marathon. The check presentation will take place on Tuesday, March 27th, at 10:30 a.m. in front of the University of Texas Tower near Mile 13 of the new Austin Marathon course. On February 18th, Doyle was the final marathoner to begin the Austin Marathon and finished in 310th place. Race day weather was ideal and Doyle finished his debut marathon in 3:35:44, earning $1.00 for every marathoner he passed. Doyle was the fourth Charity Chaser and was outstanding in increasing awareness for the Austin Gives Miles program. 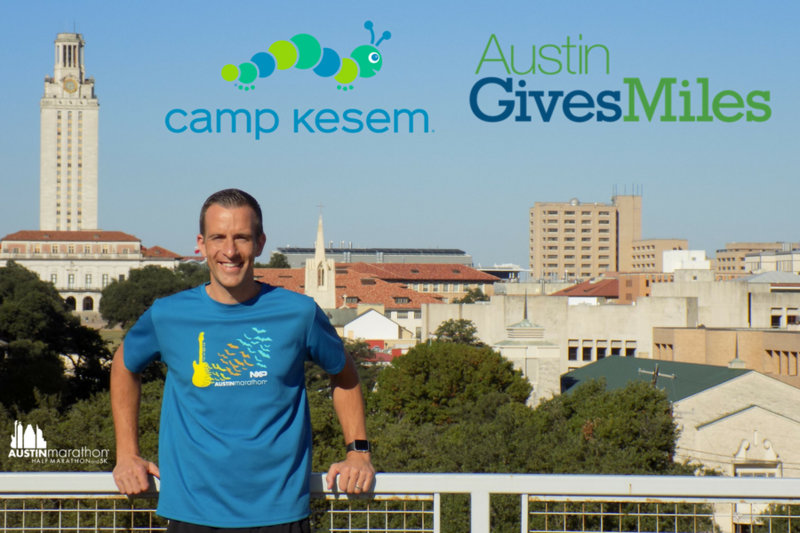 In addition to earning $3,195 for Camp Kesem, Doyle also raised $3,233 through his personal fundraising page and $256 by asking others to donate one penny to their favorite Austin Gives Miles charity for every marathoner he passed. This brings Doyle’s total 2018 Austin Gives Miles financial contribution to $6,684. “I’m so thankful High Five Events allowed me to be this year’s Austin Marathon Charity Chaser,” said Doyle. “Once I got to know the Camp Kesem leaders, it was inspiring to see what they do and their dedication and passion for the camp. When the marathon got tough in the final miles, knowing I was running for such a great cause helped me keep pushing. Camp Kesem at University of Texas at Austin was founded in 2011. They support children affected by a parent’s cancer diagnosis in the Austin community by providing a week-long summer camp experience and year-round peer support. Camp Kesem at University of Texas at Austin is operated by 75 student volunteers and serves 150 campers aged 6-16. They also offer a CIT (Counselor In Training) program in which campers aged 16-17 can apply for and prepare to become a counselor. The Austin Marathon will celebrate its 28th year running in the capital of Texas on February 17, 2019. Austin’s flagship running event annually attracts runners from all 50 states and 30+ countries around the world. Having start and finish locations just a few blocks apart, being within walking distance of many downtown hotels and restaurants, and finishing in front of the picturesque Texas State Capitol makes the Austin Marathon the perfect running weekend destination. Participants can register for the marathon, half marathon, or 5K beginning June 1st. “Unimaginable.” If I had to describe my experience with the 2018 Austin Marathon and Austin Gives Miles in one word, it would be “unimaginable.” I had run marathons before–four, in fact: one in each state I had lived–but this one was different. This time, the extent of my accomplishments reached far beyond myself, and would potentially impact the lives of the 9,000 legally blind children statewide. So, when I had to drop out of the Austin Marathon in 2017 due to an injury, I made myself a promise . . . If I ever ran another marathon, it would be for this charity, and I would not do it alone. Convincing the All Blind Children of Texas board to support my idea was easy, and the Austin Gives Miles application was straightforward and simple. What happened after we were accepted as a first-time Official Charity Partner was nothing less than remarkable. Under my leadership, a team of 59 runners and walkers came together and, with additional support from the Moody Foundation and Qualcomm, raised $33,500, more than double any previous ABCTX fundraiser. Some were experienced athletes; others had never participated in a road race before, and most had little to no fundraising experience. Local businesses opened their doors to host events and their hearts to donate goods and services, raising more dollars and building awareness of our mission and camaraderie within the community. On race day, the miles seemed shorter and my legs less fatigued, as I reflected on this significant journey. With the support of more than 75 volunteers at Mile 15, my parents on the sidelines, and my husband at my side, I crossed the finish line with a sense of pride that I cannot describe. I had already won, so to learn that I had placed first in the female VI (B3) division was just icing on the cake! For more information about All Blind Children of Texas, please visit www.abctx.org. 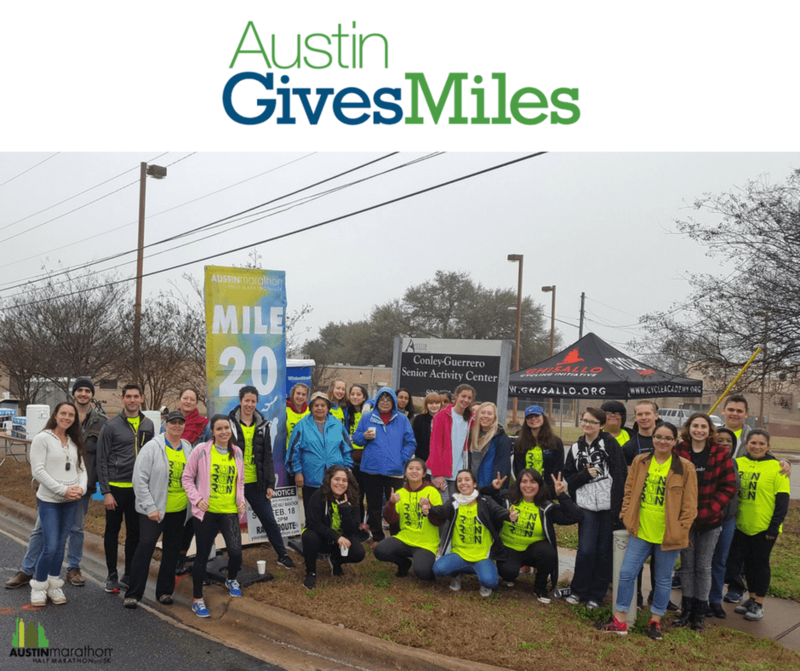 AUSTIN, Texas, March 21, 2018 — Austin Gives Miles, the Official Charity Program of the Austin Marathon®, raised $670,802. 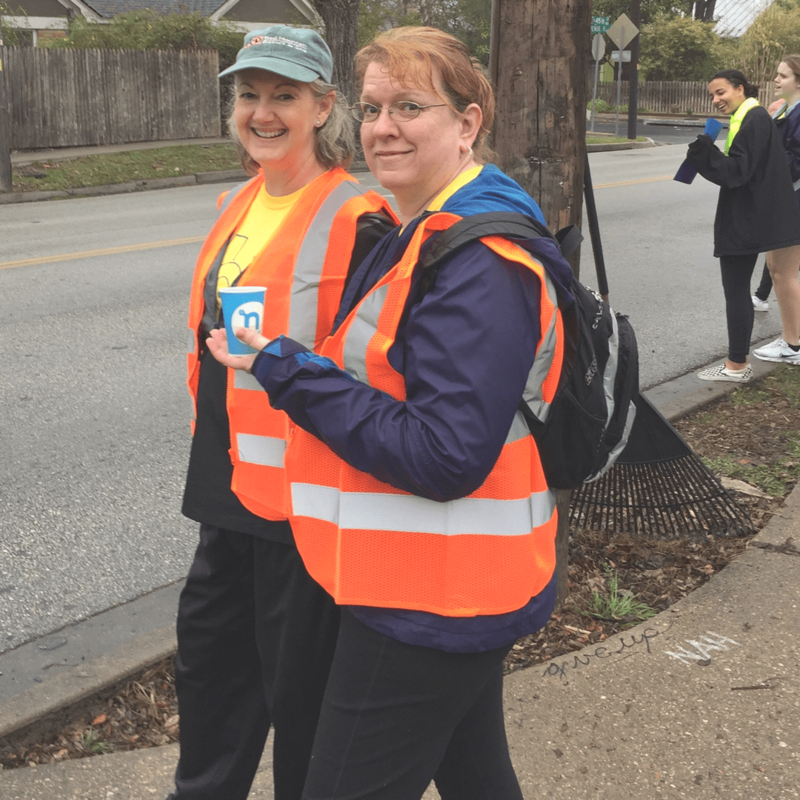 The 31 Central Texas nonprofit organizations accepted into the program worked tirelessly to exceed the program’s fundraising goal while increasing awareness of their organization and recruiting race day volunteers. All Blind Children of Texas, a resource for the optimal physical, mental, emotional, and social development of all blind children of Texas, was the highest fundraiser, raising $33,500. For the third year in a row, Austin Gives Miles was the beneficiary of a Moody Foundation grant that matched donations for each organization, up to $10,000. The money raised significantly impacts Central Texas and the communities the charities serve. 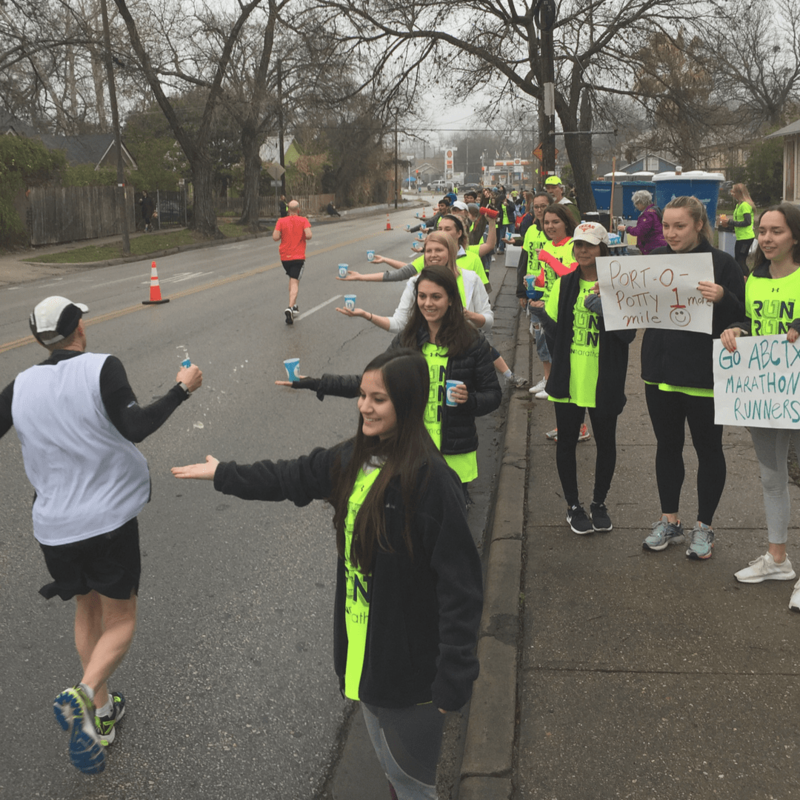 Review the 2018 Austin Gives Miles charities and their fundraising efforts on the Austin Marathon website. The Austin Marathon will celebrate its 28th year running in the capital of Texas on February 17, 2019. Austin’s flagship running event annually attracts runners from all 50 states and 30+ countries around the world. Having start and finish locations just a few blocks apart, being within walking distance of many downtown hotels and restaurants, and finishing in front of the picturesque Texas State Capitol makes the Austin Marathon the perfect running weekend destination. Participants can register for the marathon, half marathon, or 5K starting on June 1st.